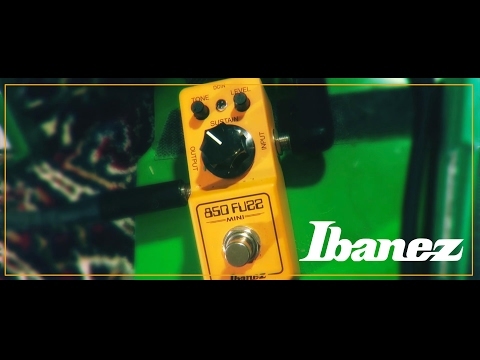 The mini-pedal market has been booming the past few years and Ibanez has introduced MINI pedal series made in Japan. Now we are proud to announce a fuzz pedal, FZMINI in MINI family. The FZMINI's circuit is based on our legendary effector OD850 that delivers fuzzy over drive sound. The mini effector also features two smaller knobs for Tone and Level, and a significantly larger Sustain knob in the middle. True bypass switching provides the shortest, most direct signal path, as well as the cleanest tone. The 100% analog circuitry helps to add a natural magic to the sound. With the FZMINI, enjoy a warm and fuzzy sound, all while saving some space on your pedalboard.